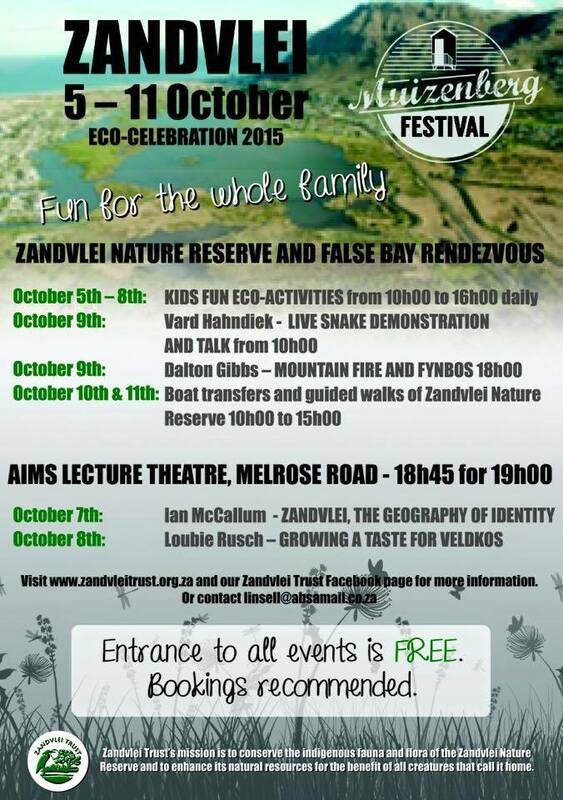 As part of the 2015 Muizenberg Festival, the Zandvlei Eco Celebration will help put the ‘green’ back into Muizenberg. A seven-day experience highlighting various ‘green’ topics through a variety of fun, interactive educational activities, open-day displays, talks, boat rides and nature walks, the intention of the Eco Celebration is to encourage local residents to learn more about the Greater Zandvlei Estuary Nature Reserve, and help protect and care for their unique wetland coastal home. ← State of the Nation – Win 2 tickets to this event!